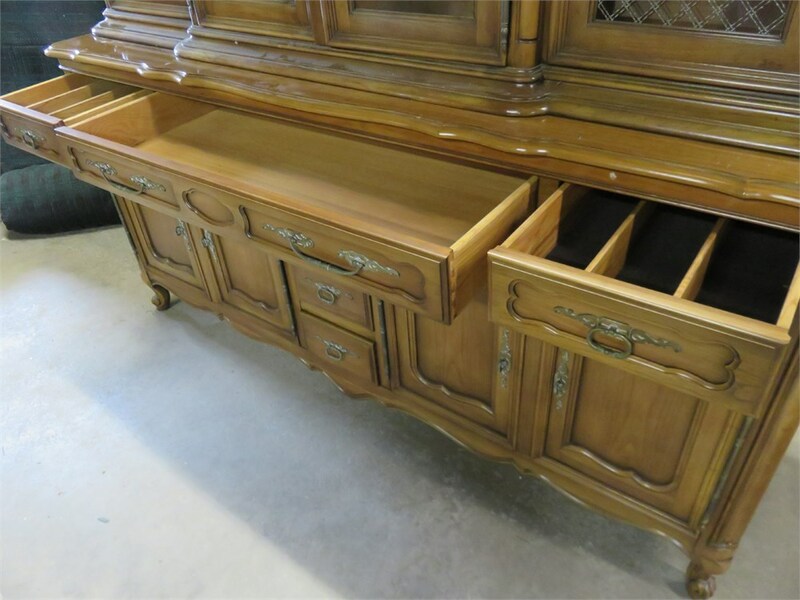 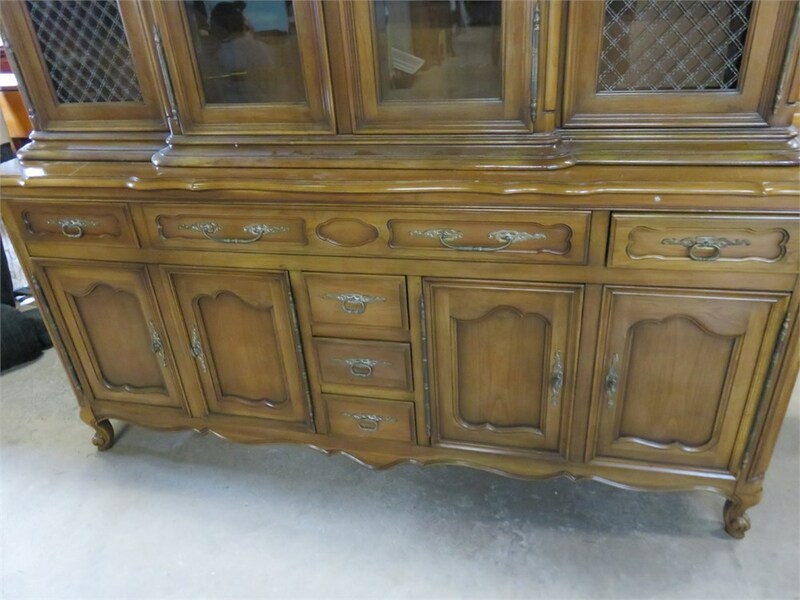 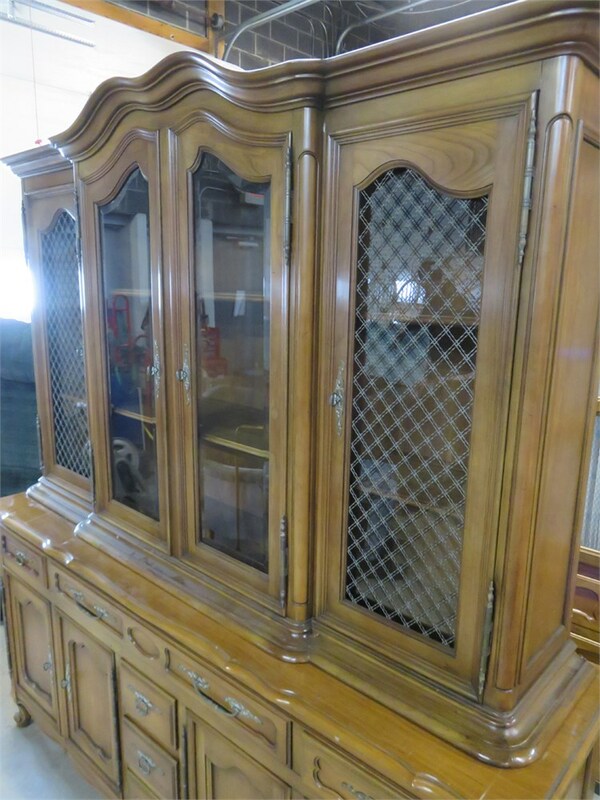 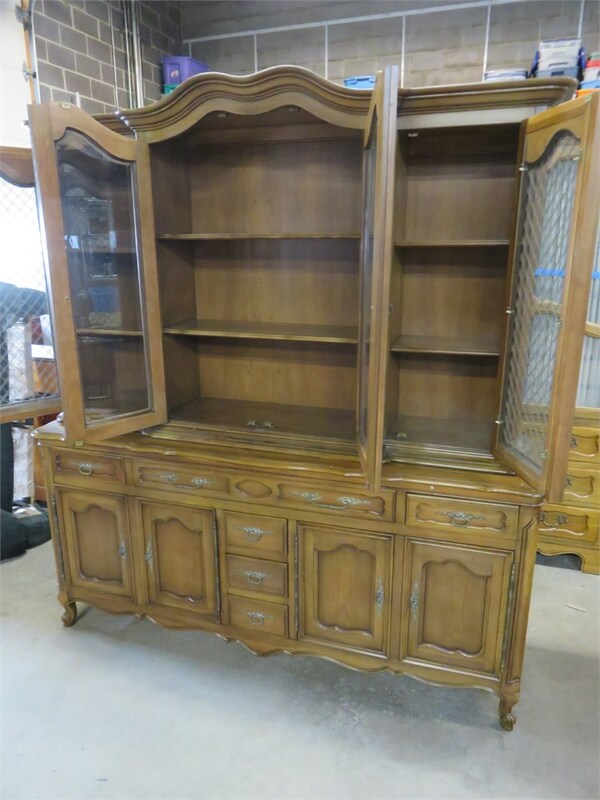 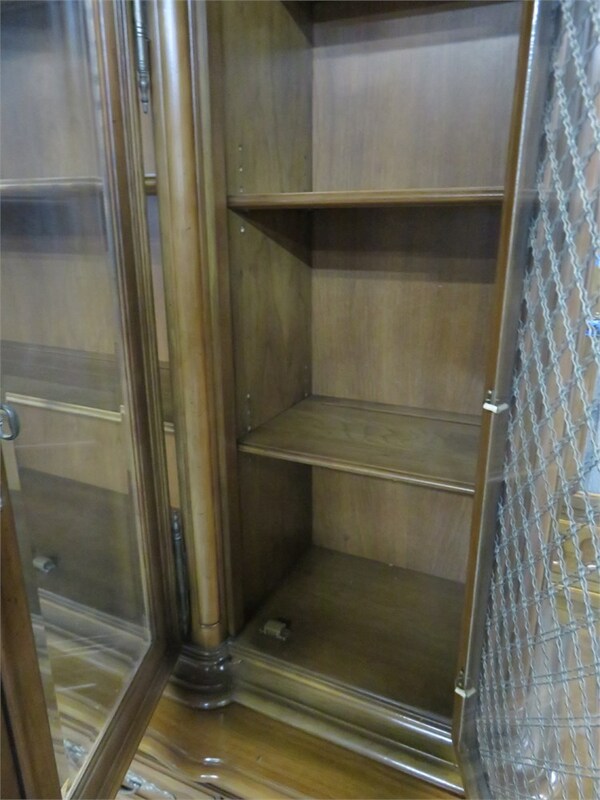 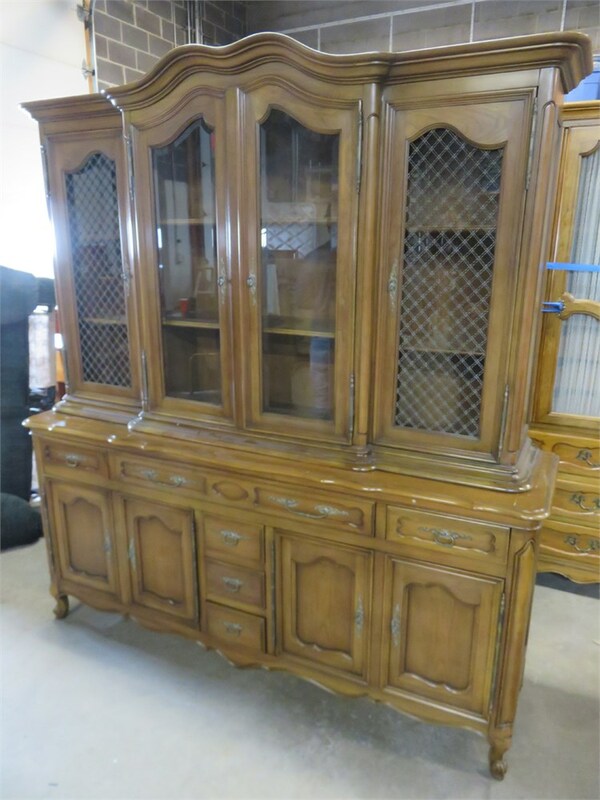 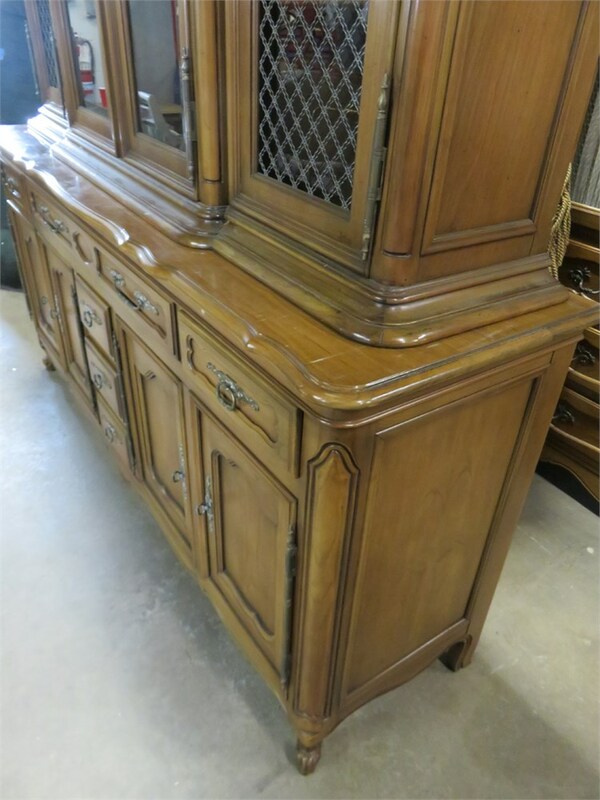 A gorgeous French Provincial china hutch from Fancher Furniture Co. 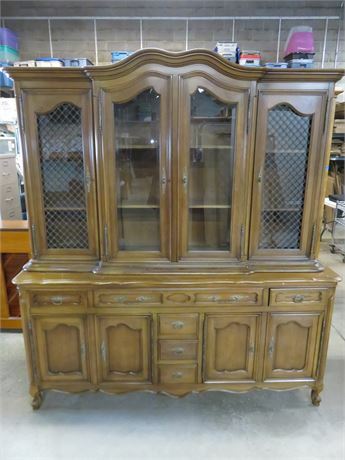 This 2-piece hutch features 9 dovetail drawers with recessed panel fronts. 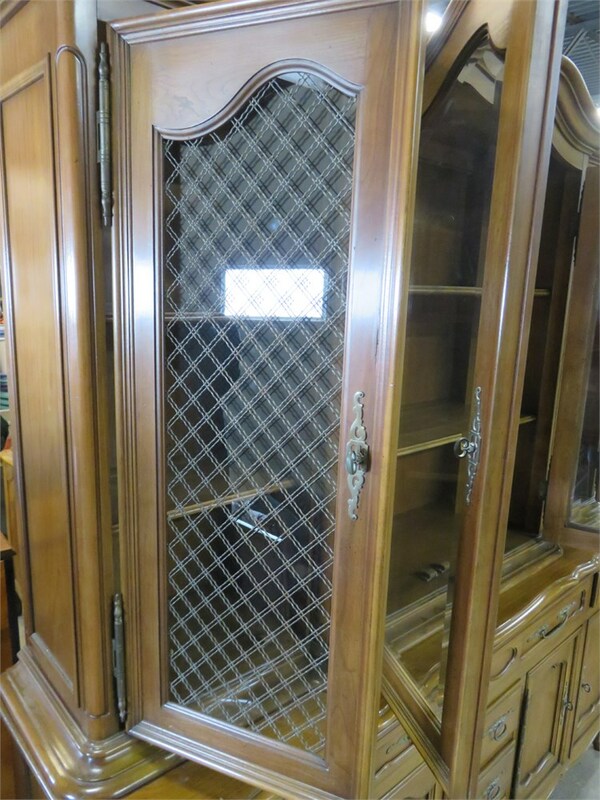 The upper portion has 4 wire mesh door panels with beveled glass. 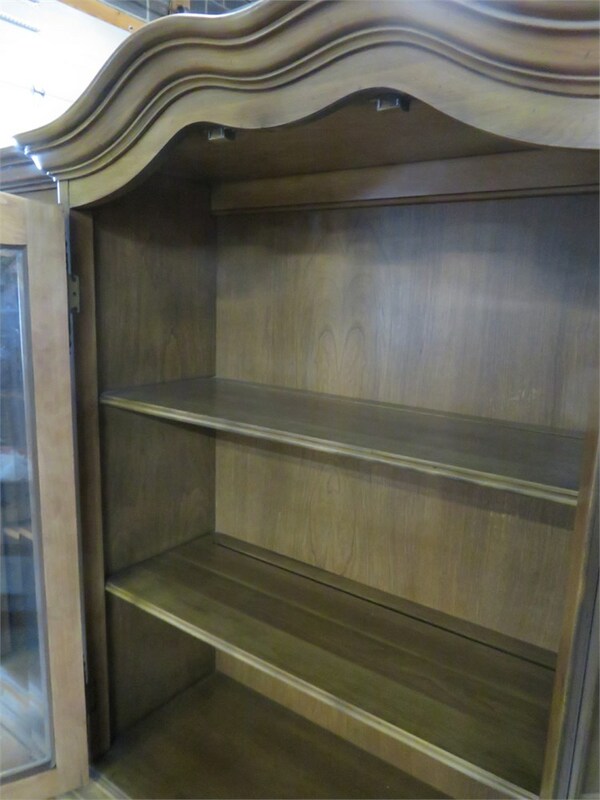 Shelves have plate grooves for diplaying all of your fine china. 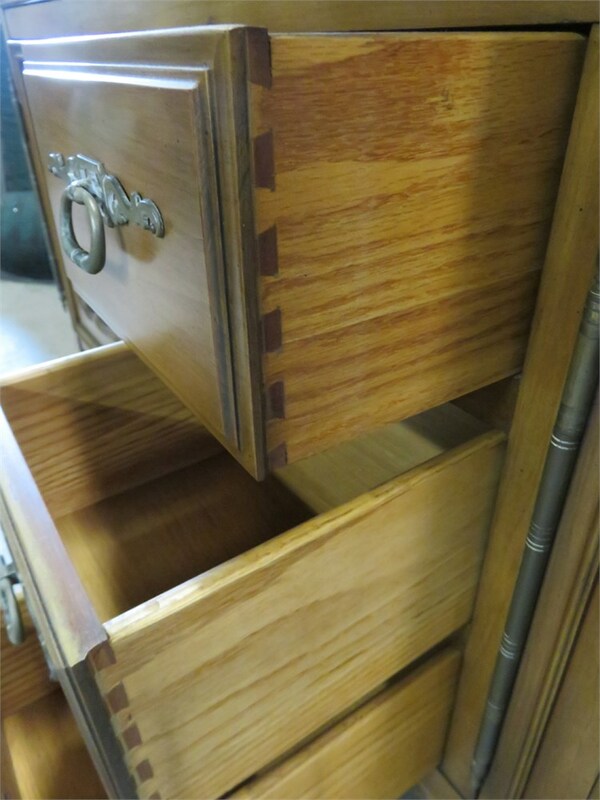 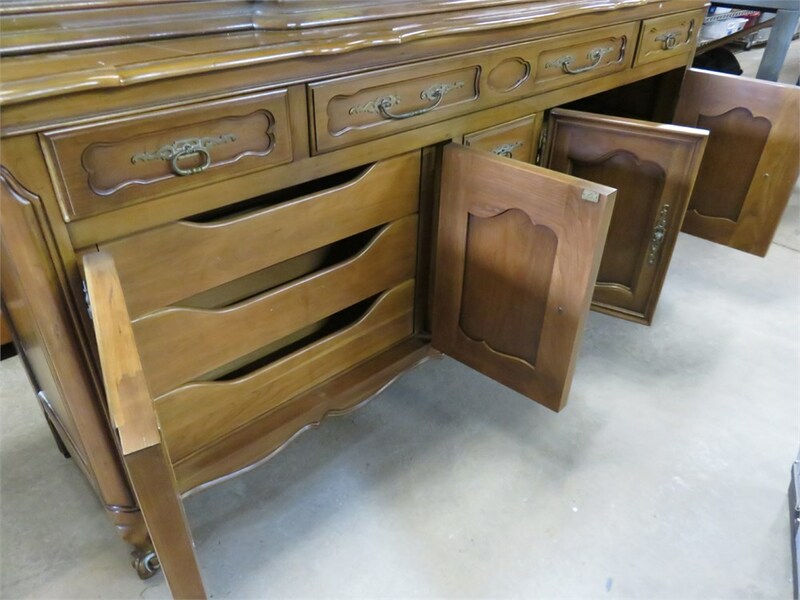 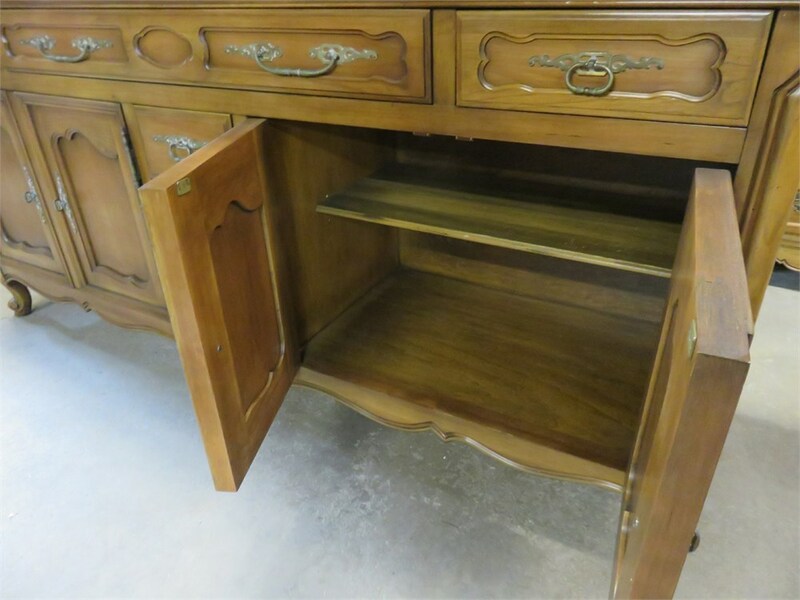 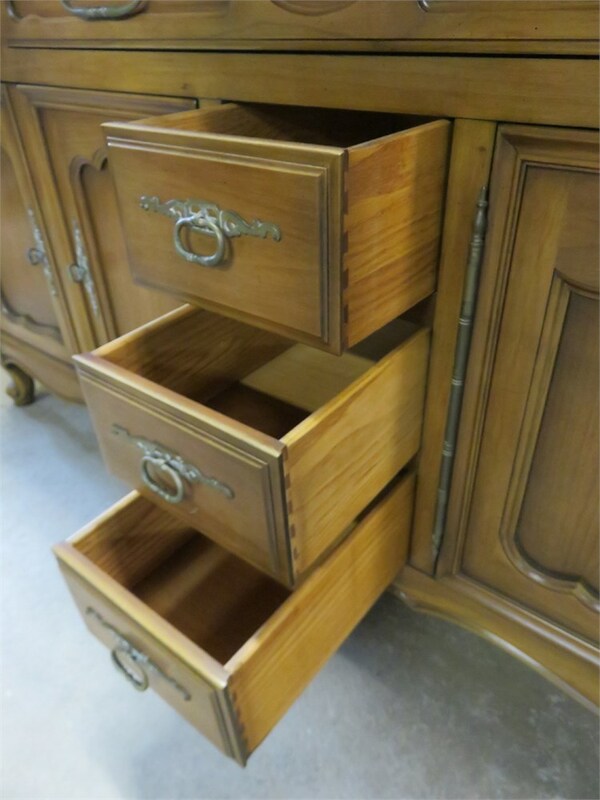 Lower section provide plenty of storage with 6 drawers. 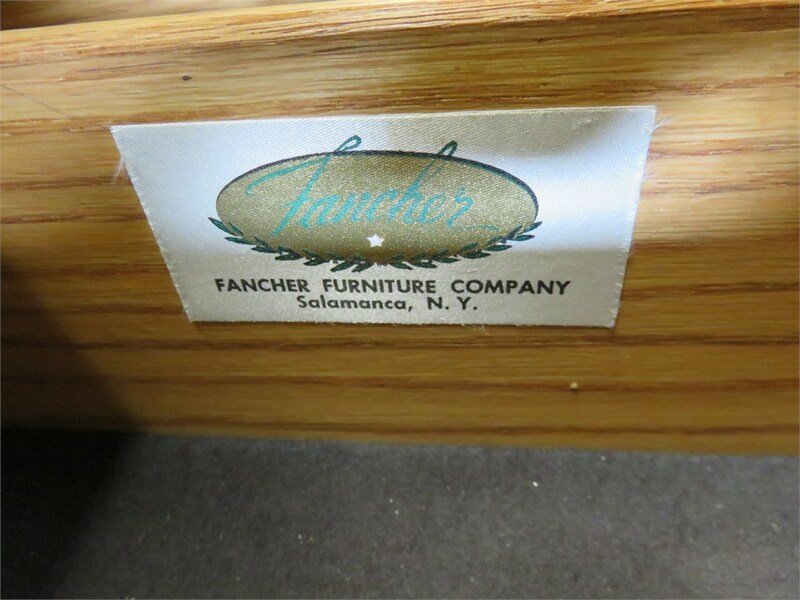 Shows some nicks and scratches consistent with age and use.